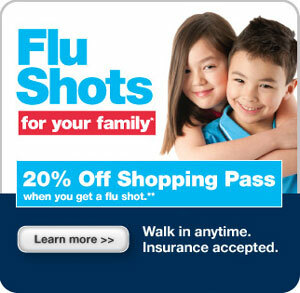 Fall is one of my favorite seasons of the year, but for many families, it can also be one of the most hectic. With back-to-school events, football games and other school activities, holiday gatherings and Christmas shopping, you might soon find tasks like preparing a quality family meal getting pushed aside. That's why I'm happy to report that Schwan's Home Service is here with the Top 10 Fall Food Ideas to keep you and your family happy, healthy and connected around the dinner table this season. Keep reading to learn more! Talk about tradition. For over 55 years, the Schwan's Route Sales Representatives have paid visits to households just like yours, delivering delicious, easy-to-prepare meals and friendly personalized service. Every two weeks, they'll stop by with your choice of over 350 restaurant-quality products, all of which naturally come with a 100% quality guarantee. Schwan's is constantly searching for new ways to help busy families enjoy mealtime together, and you're assured of always seeing this commitment reflected in the products they create and the service they provide. I can still remember those summer days as a kid, living out in the middle of nowhere, Texas. Without fail, the Schwan's man would come driving down our dirt road and every kid in the neighborhood would run to whoever's house was the lucky recipient of the frozen goodies. We'd all feast on delicious ice cream until we were full and anxiously wait for the Schwan's delivery man to return again in a few weeks with more yummies. 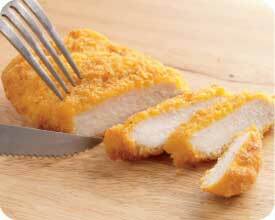 Oven Baked Chicken Breast - New LiveSmart Oven Baked Chicken Breasts are lightly breaded, thick cut, whole chicken breasts that bake up crispy and tender. They are fully cooked for quick oven preparation and are a healthy alternative to any meal. 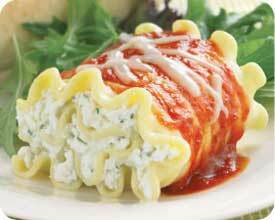 Lasagna Roll-Ups - Enjoy great tasting lasagna without all the work! Four 6 oz. individually wrapped curly edged lasagna pasta sheets rolled around a delicious blend of five cheeses - Ricotta, Romano, Mozzarella, Fontina and Parmesan. Add your own favorite sauce for a wonderful Italian meal! Beer Battered Alaska Cod - Real Amber Beer batter provides an authentic, homemade experience in your own kitchen. 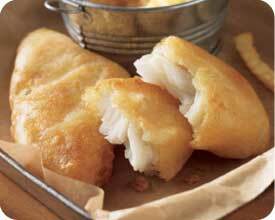 Wild Caught Alaska Cod bakes up crisp and tender from the oven. Oven Roasted Chicken Bites - Oven-roasted boneless and skinless white meat chicken bites are a healthful alternative to fried. High in protein, low in fat and calories, and folks think they are fun to eat. Now that’s a perfect snack or quick meal that’s hard to beat. Toss them into a tasty Caesar salad or serve on a platter with dipping sauces for a terrific appetizer. Fully cooked and microwave ready in minutes! 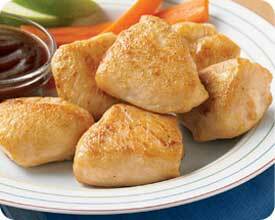 Thanks to Schwan's my family always had a yummy and delicious dinner that was quick to prepare and hectic-free! There weren't any long lines at the grocery store to tolerate and all of the food delivered was super fresh and vacuumed sealed in small portion sizes. We were then able to take out and defrost what we needed and put the rest back in the deep freezer to use again at our convenience. These days, when time always seems to be in short supply, I value convenience in the day-to-day tasks we all have to accomplish. Schwan's helps a busy family immensely by bringing quality food directly to your door, allowing you to check one more thing off the ol' to-do list. For me, Schwan's will always irrevocably be associated with lazy days and happy times. Even now, when I see the Schwan's truck in my neighborhood, I smile to myself and know that some family's day will be made a little better than it was before, thanks to their special delivery. If you want to guarantee some amazing food at your table this holiday season, check out the fall food ideas and be sure that Schwan's is first on the guest list! Disclosure: I received the food items mentioned above from Schwan's in order to facilitate my review. No other compensation was received. This product review is based on my own personal experiences with this item and is completely honest and objective.